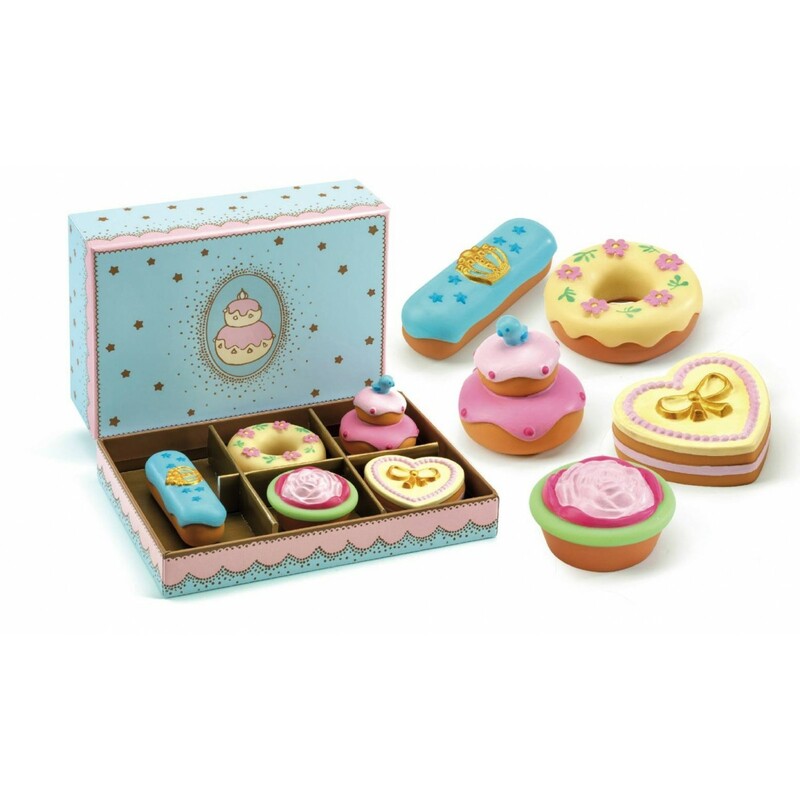 If your little princess is hosting a glittering social event, this wonderful cake set is sure to impress any Queen. A strikingly colourful assortment of five beautiful soft plastic princess cakes, all presented in a patisserie style box. With their prestige decoration, they look too good to eat! These dainty cakes are great to use at any imaginative event - maybe as a light desert at a ball. The princess cake set comes beautifully packaged, so it makes a really high impact gift!